The Intergovernmental Panel on Climate Change (IPCC) is the leading international body for the assessment of worldwide climate change. 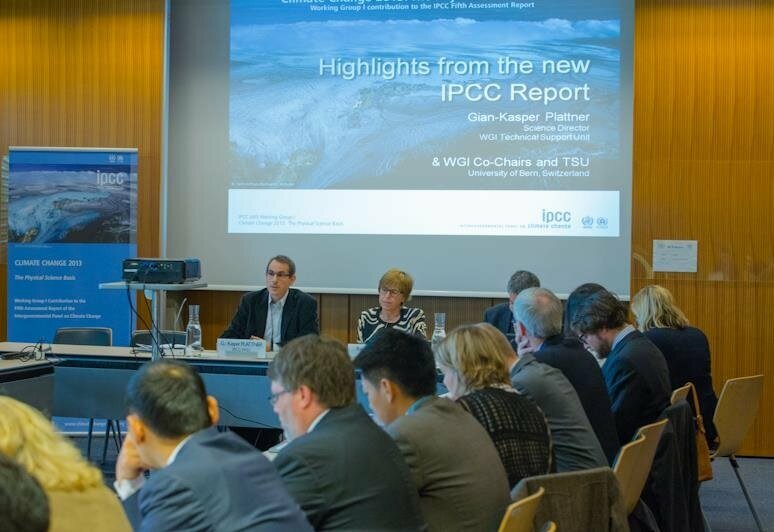 The IPCC is a scientific body under the auspices of the United Nations, and is charged to review and assess the most recent scientific, technical and socio-economic information produced relevant to the understanding of climate change. Maintaining a greenhouse gas inventory for the city which shows energy use and greenhouse gas emissions from municipal government, transportation and residential, commercial and industrial sectors. The greenhouse gas inventories for 2009-2012 have been completed. Developing a Climate Change Vulnerability Assessment and Adaptation Plan. Many of the components of Albany's Comprehensive Plan, Albany2030, are designed with energy and sustainability in mind. Initiatives such as building a multimodal transportation center, creating livable, vibrant neighborhoods, revitalizing Albany's downtown and the waterfront all have potential to reduce greenhouse gas emissions and create a more sustainable Albany. The impact to human health, infrastructure and the economy in the region are significant. With higher temperatures, residents would experience higher cooling costs and increased risks of heat stroke, especially for the elderly people and the poor. Higher temperatures mean worse air quality which would lead to increases in asthma and allergies. Warmer temperatures also encourage mosquitoes and bacteria, leading to higher incidences of vector borne diseases. Changes to precipitation are likely to result in more snowfall in winter and droughts in summer. More of the precipitation will come as heavy downpours, which could lead to more flooding, sewer overflows, power outages, and damages to property and infrastructure. As the region’s climate changes, local ecosystems will also be impacted. Spruce, fir, hemlock and maples would die off and migrate to northern climes. Pests previously killed by cold winters would proliferate and destroy urban street trees as well as large swathes of forest. Fisheries and wildlife would die or migrate to colder climes. Non native species would replace native species. These impacts would change the economy and character of the region. Due to the significant amount of GHGs already in the atmosphere, some level of change is in inevitable, despite efforts to reduce emissions. Therefore, it is important for the city and the region to prepare for climate change and enhance resiliency to a wide range of impacts. The recently-completed Albany Climate Change Vulnerability Assessment and Adaptation Plan studies the risk and exposure of Albany's populations to climate change. The adaptation portion of the plan addresses how the city will respond to climate related problems such as increased flooding, extreme temperatures, increased precipitation, reduced air quality, more vector borne diseases, and ecosystem changes.